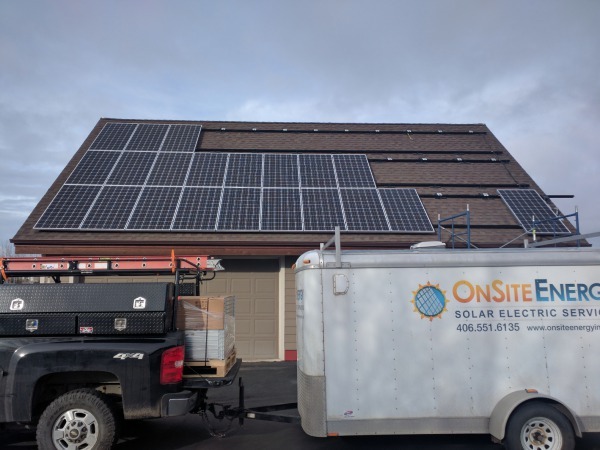 In the summer of 2016, the Meuli's saw the OnSite Energy crew installing a solar system on their neighbor's house. They became excited about the idea of producing their own electricity after receiving a tour of the new system down the street. 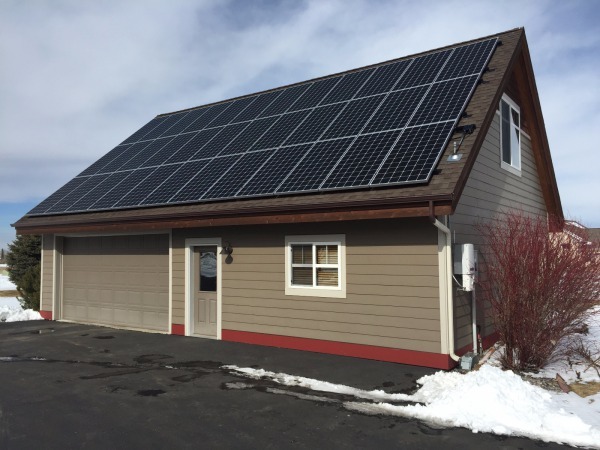 By March they were powering their own lives with solar electricity from their own new 12 kW solar system. This solar array consists of thirty-six 335-Watt solar modules configured in three even rows for a total solar array rating of 12 kiloWatts (kW). The system was designed to offset 100% of the homeowner's annual energy usage, and the module type, quantity, and layout was selected for optimal utilization of the available roof space. 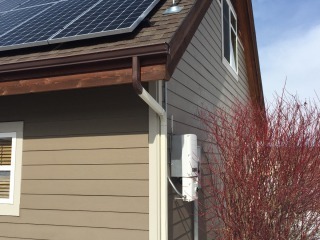 A SolarEdge 11.4 kW inverter converts the array's power from direct current (DC) power to usable alternating current (AC) power for the home. SolarEdge inverters are over 97% efficient, and they are unique in that they utilize DC power optimizers beneath each solar module to condition the module's power output on an individual level. As a result, energy losses from shading, array mismatch, and varied angles of incidence from the sun are mitigated. The result is a super-efficient solar system that will produce absolutely the most energy possible given any environmental condition. This system is projected to produce 16,842 kWh per year. 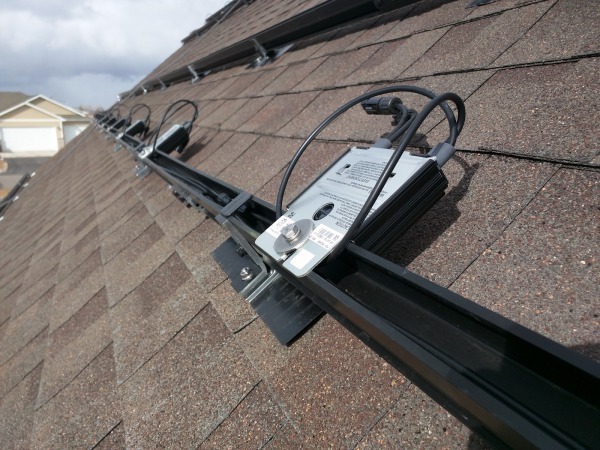 With production data reporting from the system's inverter to the homeowner's own unique online data-monitoring site, they are able to easily monitor their system's performance using SolarEdge's PC and mobile device apps. 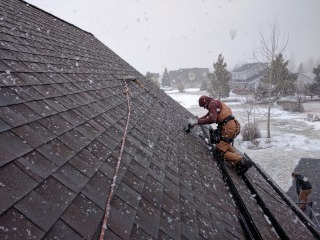 Unique challenges = winter in Montana.